enjoy looking at them like I had planned. I am having five giveaways for these prints. 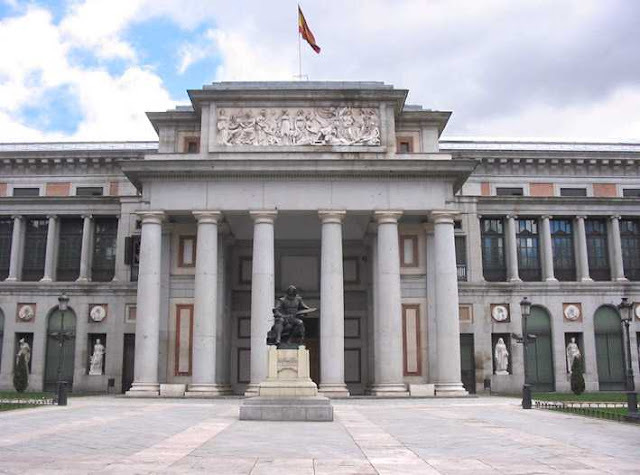 in the the Museo del Prado in Madrid, Spain. 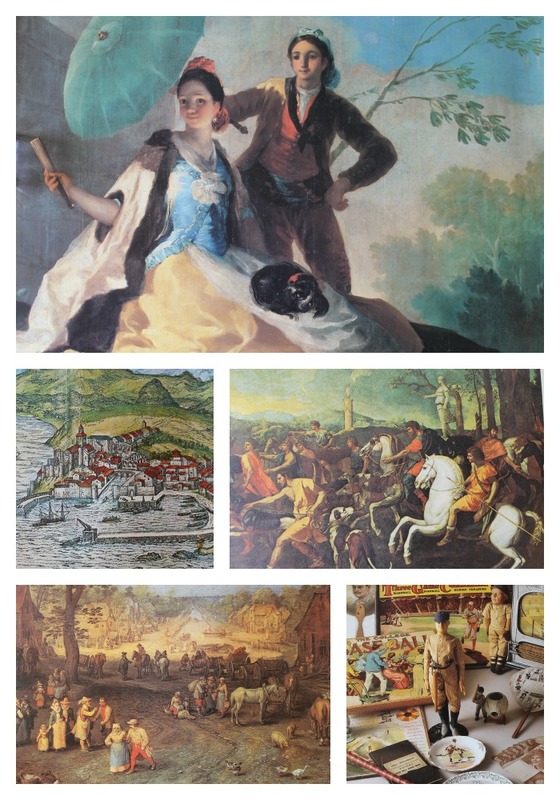 finest collections of European art from the 12th century to early 19th century. need weights so I can photograph them for you. painted by Francisco de Goya in 1777. The print is 32" x 24". that Goya did click here and scroll down the page. good brush strokes built into it and even some crackling. George Braum of different towns in Spain. in a book?) but there is not a crease IN the print. was an ancient spa area that travelers would come to visit. Santander is a historical port city situated on the north coast of Spain. Hispalis is the Roman name for what we now call Seville. It is the 4th largest city in Spain. Please note that these three prints have a slight crease on the left side. the colored part of the print 15.5" x 11.75". This print has a crease at the bottom of the print which may not be noticeable if it is framed under glass. Two prints of works by the Flemish artist Pieter Breueghel. is known for his landscapes and peasant scenes. This one is called "Country Scene"
This one is called "Village Scene"
Both of these prints are 21" x 18" with the colored area 15.5" x 11.25"...and oops...a crease on one side. baseball items. The white border is 1/2" each side. been framed and exposed to light very little. This print is called "Antique Fan Fare". that describes the items in the photographs. This poster is called "Rare Treasures". This poster is "The Babe's Memorabilia"
This poster depicts Babe Ruth and "The Called Shot". These posters would be fun for any baseball fan young or old. would like to be entered into (all or specific numbers). June 15th by Random Number Generator. then get the prints to them as soon as possible. Update: the winner is Amanda! Thanks for visiting tonight! So glad I popped by for a visit! My little baseball player who is 8 would love these posters in #5!! I think I've made it in time for the giveaway? !